Mud cleaner is a 3 in 1 equipment for drilling mud cleaning and separation. The whole cleaner including a set of shale shaker, 1-3 pc desander cones and 8-20 pc desilter cones. 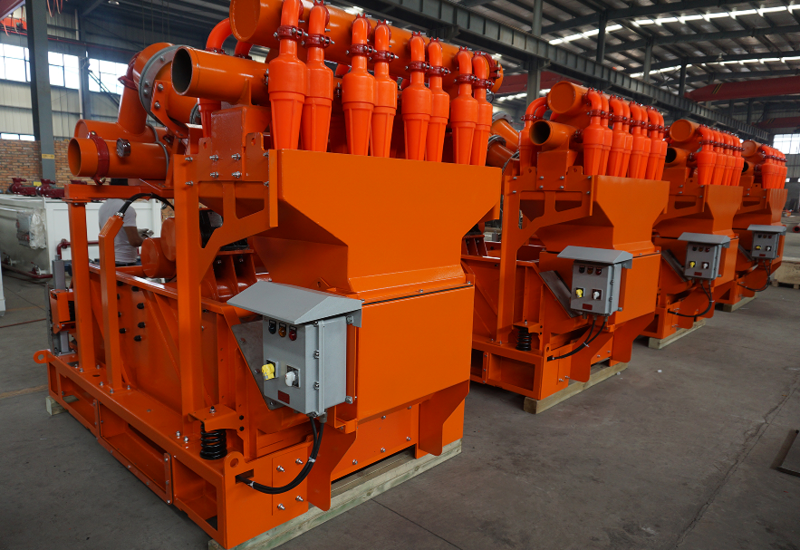 The mud cleaner will lay after shale shaker or vacuum degasser for second phase and third phase cleaning. A solids control system can including poor boy degasser, mud flow divider, shale shaker, vacuum degasser, mud cleaner, decanter centrifuge, centrifugal pump, mixing pump, mixing hopper, mud agitators, mud gun, mud tank, pipeline, etc. 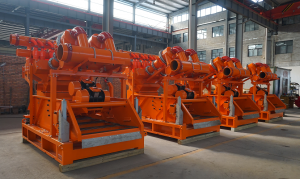 The solids control system is design to treat drilling mud out of well hole and separate drilling cuttings out of drilling mud and add chemicals based on mud conditions for mud reuse. The shale shaker will separate drilling cuttings larger than 200 microns by vibrating shaker deck though shaker screen. The shaker screen mesh can be changed by control of separation size and mud flow capacity. After shale shaker treatment, the larger drilling cuttings will be separate out. The desander on mud cleaner will separate solids 47-76 microns solids and desilter separate solids 15-25 micron fine solids. 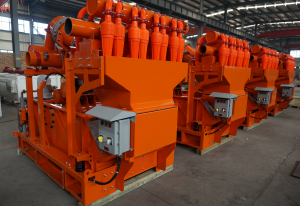 The shaker will reduce load and avoid cone block for mud cleaner. If vacuum degasser required, the vacuum degasser will be laid before mud cleaner for protecting centrifugal pumps. Other than Mud Cleaner, AIPU Solids Control build complete range of solids control equipments with API standard as well as spare parts. Shaker screen as a regular spare parts for shaker, AIPU build various shaker screen size for AIPU shaker and Top Brand of shakers in the world. Please contact AIPU Solids Control freely.